Volunteers from Toptal’s Elite Software Development Network to Mentor General Assembly Students and Alumni Remotely, Addressing Both Lack of Diversity and Gap in Software Talent in the Tech Industry. 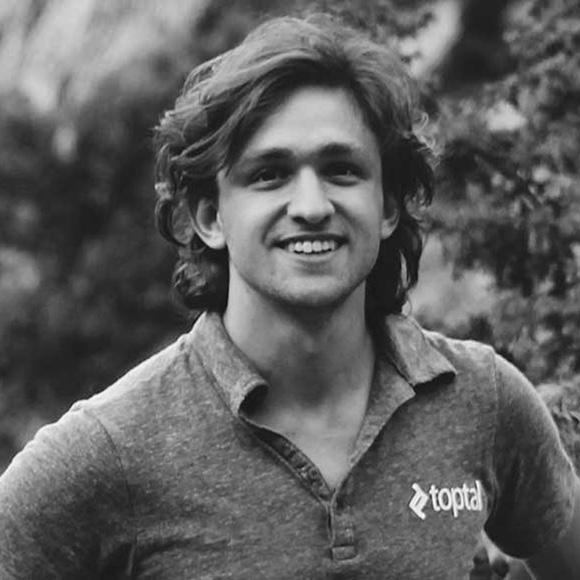 San Francisco, CA – August 4, 2015 – Toptal, the world’s leading network of elite freelance software developers, today announced that it has signed an agreement with global education institution General Assembly to create the Toptal Global Mentors Program, a large-scale initiative to provide support through tutoring and mentorship to help students overcome barriers of hardship, underprivilege, and low income to become professional software engineers. As part of the donation, Toptal developers from 93 countries around the world will donate approximately $1,000,000 worth of in-kind tutoring and mentorship support to General Assembly students and graduates over the next two years. In addition, Toptal will donate $100,000 to fund fellowships to the General Assembly Opportunity Fund, which provides scholarships and support to members of traditionally underrepresented groups in the technology industry. Toptal supports over 2,000 clients ranging from Fortune 500s to startups with its distributed network of elite freelance developers who are based in 93 countries around the world and who work 100% remotely. This global network forms the backbone of the Toptal Global Mentors Program. Toptal volunteers will mentor students and graduates of the General Assembly Opportunity Fund exactly the same way Toptal engineers work with clients like Zendesk, J.P. Morgan, Airbnb, and thousands of others every day. Speaking at the 5th Annual Nexus Summit at the United Nations on July 24, 2015, Taso Du Val, co-founder and CEO of Toptal, announced Toptal’s commitment to initiatives aimed at supporting the technical education needs of disadvantaged students who seek careers as software engineers in the tech industry. Toptal developers bring extensive expertise in a wide variety of in-demand technologies to the Toptal Global Mentors Program, making it a tremendous resource for General Assembly students and graduates. It also means that for any specialized skill that a participant wishes to acquire, a best-in-class Toptal expert will be available, no matter where in the world that expert resides. A Toptal web design expert in Belo Horizonte, Brazil, for example, can mentor a General Assembly web design student from the Bronx, NY, USA – almost as if face-to-face. Founded in 2010, Toptal is one the most innovative and rapidly-growing companies to emerge from Silicon Valley. With backing from Andreessen Horowitz, Adam D’Angelo of Quora, and others, Toptal connects thousands of elite freelance software engineers from around the world to over 2,000 clients including large enterprise companies such as J.P. Morgan and Pfizer; tech companies such as Airbnb and Zendesk; and numerous startups, providing world-class software solutions that meet the most complex and challenging requirements. On track to hit an $80,000,000 annual run rate (ARR) in less than five years since its founding, Toptal’s rapid growth is a testimony to exploding client demand and the unmatched quality and reliability of the company’s services. For more information about Toptal, visit: www.toptal.com. General Assembly is a global educational institution that is building a community of individuals empowered to pursue work they love through instruction and opportunity in technology, design, and business. General Assembly offers full-time immersive programs, classes, workshops, and online educational programming on the most relevant skills of the 21st century economy, including web development, user experience design, product management, digital marketing, and data science. Headquartered in New York, General Assembly was established in early 2011 and has 14 campuses worldwide in Atlanta, Austin, Boston, Chicago, Hong Kong, London, Los Angeles, Melbourne, New York, San Francisco, Singapore, Seattle, Sydney, and Washington, D.C.